The Lita solar lighting system is used for pathways, park trails, and entryway. The system provides a pendant mounted, decorative LED site light with a luminaire efficiency above 90 lumen/watt. It has great light output with various distribution patterns. The Lita series is also Dark Sky Friendly. The Lita Series features a 9 to 14 foot pole with an LED fixture. If you need to illuminate a small area such as a pathway, a park or entryway it is a perfect choice. 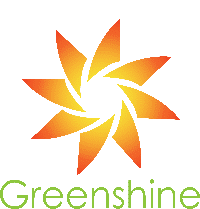 Greenshine can offer a 10-20 watt LED fixture in order to meet your brightness requirements. The Lita LED lighting system features a pendant mounted, decorative LED site light. When mated with the Lita pole and shepherds hook arm it brings a stylish decorative element to any project. The Lita L30 fixture is powered by a state of the art, high efficiency, DC LED driver that powers 24 CREE LEDs. Like all our Solar Lights, Lita Series is designed to operate in locations with high-temperature fluctuation as well as extreme weather conditions. As with all of our light systems, the solar panels are expected to have a 20-25 year lifespan. GS-S-LITA – a pendant mounted, decorative LED site light with high-efficiency DC LED driver that powers 24 CREE LEDs.